Artist Wayne Chisnall created a pre-assembly model kit of himself. 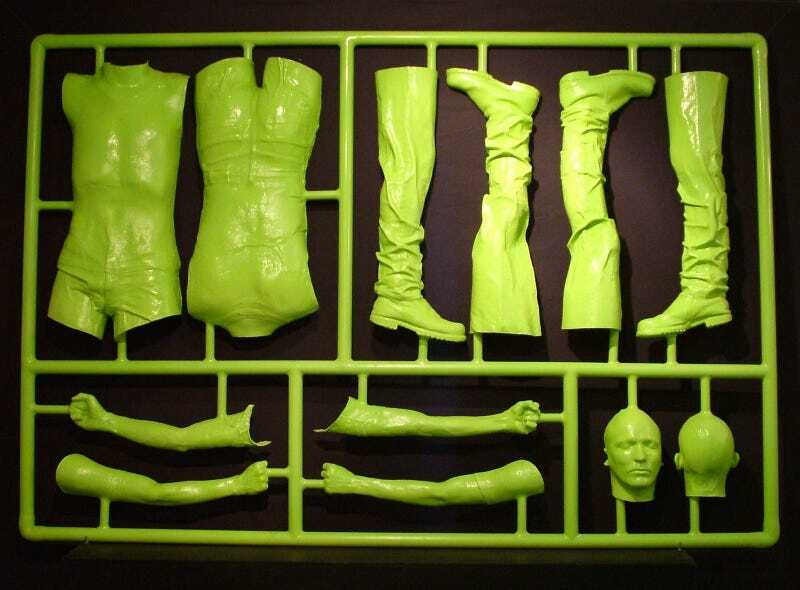 The 12 body parts, er, pieces are all attached to a plastic frame and when put together, is just as big as his real-life self. Like having a life-sized action figure!